Fall in America is a spectacular time of the year, so we have highlighted some of our favourite places and reasons to visit. Autumn is known as fall in America and Canada, marking the transition from summer it commences on either the 22nd or 23rd September, and it concludes on December 21st. New England is located in the North East of America and it comprises of the states of Maine, Vermont, New Hampshire, Massachusetts, Connecticut and Rhode Island. The months of September to December have temperatures ranging from 16 degrees down to around 3 degrees. New England at this time of year has to be seen to be believed, the leaves turn from green to a striking golden and a warm red and they are visible as far as the eye can see throughout the national parks and forests. Whilst the core number of the summer tourists has dropped, New England is popular with hikers affectionately known as “leaf peepers” at this of year and the drop in temperature is ideal for tackling this mountainous region. New England has it all, whether you wish to pick your own pumpkins, watch a cider making demonstration, go hiking or biking, visit a maritime museum, go to a national park or forest, visit a vineyard or even climb a mountain, we think everyone should add New England during the fall to their bucket list. Many say that fall is the best time to visit New Orleans in Louisiana, the temperature range from an ideal 22 degrees down to a cool 9 degrees in December. What do you think of when you think of New Orleans? Music is the first thing that springs to my mind and the scene here is pretty special and it really comes alive in the fall. Can there be any better combination than music and food? If you agree you have to check out the Crescent City Blues & BBQ Festival held in Lafayette Square Park in mid October, soak up the cool blues vibes and enjoy the sumptuous BBQ. There is also a series of free concerts called Jazz in the Park which take place every Thursday night in the Louis Armstrong Park from mid September until early November. If festivals are your thing you have lots to chose from in New Orleans at this time of year, Carnaval Latino celebrates Hispanic heritage, music & food with a big party and a parade. There is also the Louisiana Seafood Festival, the Art for Art’s Sakes festival, the Film Festival, Oktoberfest and much, much more. Albuquerque in New Mexico hosts the largest hot air balloon festival in the world for two weeks during the month of October. Can there be a better way to enjoy the colours of fall than from a hot air balloon? The city transforms into a cultural delight throughout the whole of fall and there is something for everyone throughout the whole season. The New Mexico Chinese Lantern Festival features huge, illuminated displays and nightly performances from performers, there is a film festival, a music festival, an arts & crafts festival, a organised bike ride called Day of the Tread and the well known Duke City Marathon which offers a variety of 7 races. Of course food is a big deal in New Mexico and you will find some fabulous offerings at the events and festivals that take place. There is also many great restaurants, bars and street food vendors to chose from and authentic food from New Mexico is described as being somewhere between Mexican food and Tex Mex. New Mexico is famous for it’s red and green chiles and they are used in pretty much every dish, sweet or savoury! The temperatures may drop from 16 to 5 degrees from September to December but the list of events really heats up during the fall in New York! The choice of things to do at this time of year is endless, there is an abundance of food, drink and cultural events and a variety of festivals to pick from. The famous New York marathon is held in November and there is a host of film & comedy festivals on and let’s not forget that the giant ice rink at the Rockefeller Center is in situ. New York is bursting with places where the changing in the colours of the leafs and foliage can be enjoyed. 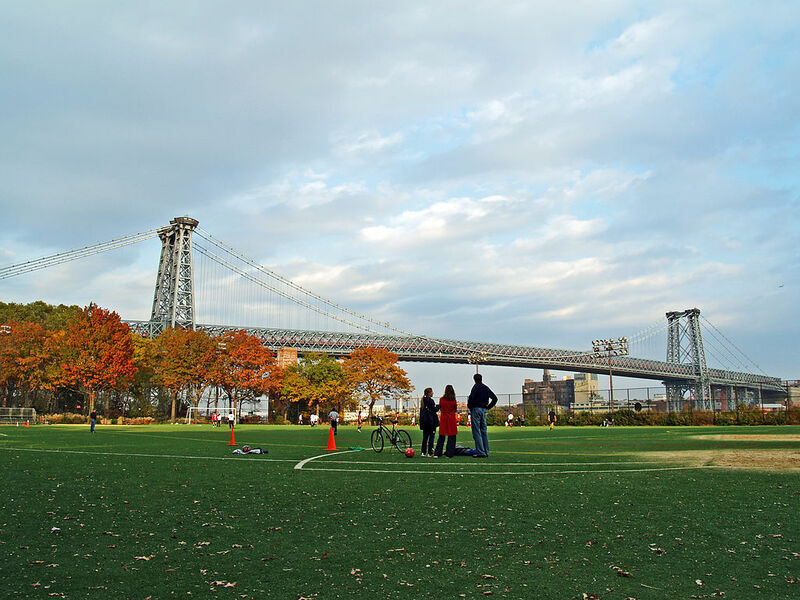 Chose from Central Park, the Greenbelt Nature Center, the New York Botanical Garden, Bloomingdale Park and much more. We cannot talk about the fall in America without mentioning one of the biggest dates in the American calendar – Halloween! America is listed as one of the best places in the world to visit to celebrate Halloween which takes place every year on 31st October and Americans love to go all out! Home owners and shop keepers dress their windows and fronts with spooky decorations and millions of pumpkins are carved into intricate designs or made into pumpkin pies. The famous Mickey’s Not-So-Scary-Halloween Party held at the Magic Kingdom Park in the Walt Disney World Resort, Florida runs from mid August until Halloween every year. The parties are held once the park has closed, from 19:00 – 00:00 and the tickets often sell out with Halloween being the most popular night. Attendees are encouraged to get creative and dress up, however there are rules around appropriate attire as this is a family event. Whilst the party officially starts at 19:00 guests are able to enter the park from 16:00 which is definitely worth taking advantage of! You can trick or treat your way around the park, enjoy the shorter queues for the rides, meet & greet the characters, watch the incredible parade and gasp at the grand finale of a truly stunning fireworks show, which some describe as the best pyrotechnics show of the year at the park. Universal Studios in Florida and Hollywood both run the spooky Halloween Horror Nights event from mid September through until early November and this is not for the faint hearted! With film themed haunted houses, incredibly dressed characters and scare zones throughout the Studios, be prepared to be chilled to the bone and screaming with fear! The Studio also runs live shows during the event, which mix comedy and horror and the crew involved are extremely talented. The whole atmosphere and buzz around the Studios is something special, so if you love horror films and like to be scared, this event is definitely for you! There are tons of events for the young and old, whether you want to dress up and do some good old fashioned trick or treating, party with hundreds of people, visit a haunted house, take part in an elaborate parade or scream with fear at one of the many adults only parties we are sure that Halloween in America will be unforgettable. These are some of our favourite reasons to visit America in the fall, but in truth there are many reasons to book your USA city break for this time of year. Can we help plan a USA trip for you? Please do send us a travel enquiry, or get in contact.